Allan McCollum's practice integrates modernist painting, conceptual art, and legacies of the readymade as a means to interrogate the ontology of art. Applying strategies of mass production to finely crafted handmade objects, McCollum carries modernist reductionism to its parodic extreme by highlighting the nominal means by which painting, photography, and sculpture are recognized as such. His multiple series of nearly identical minimal paintings and sculptures, which function as what he has called a "universal sign-for-painting"—reveal that those conventions exist not only within the borders of the art objects themselves but also in the relationships and expectations generated by these objects in the various contexts of art's distribution and consumption. 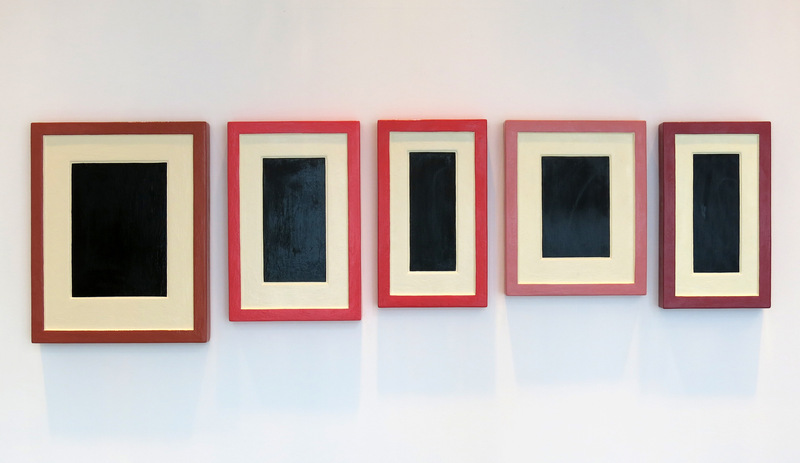 "Collection of Five Plaster Surrogates." Take It or Leave It: Institution, Image, Ideology Digital Archive. Los Angeles: Hammer Museum, 2017. https://​hammer.ucla.edu/​take-it-or-leave-it/​art/​collection-of-five-plaster-surrogates/​.